Miller Keystone needs your blood. 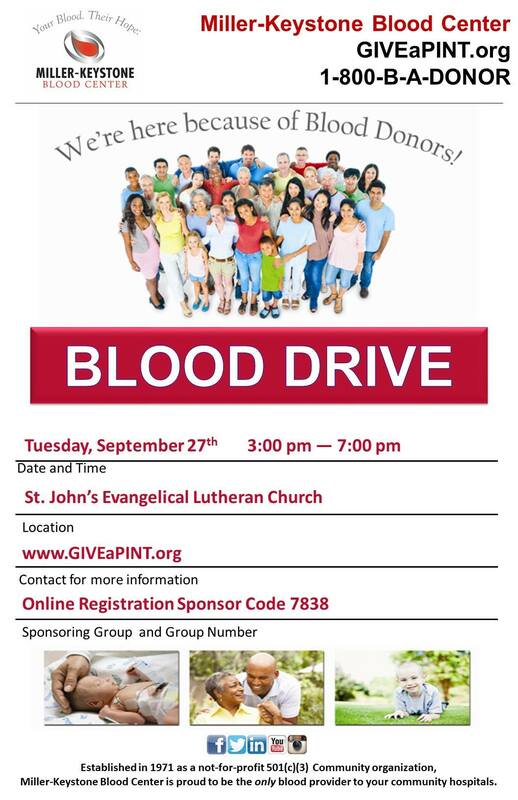 Please give if you can this coming Tuesday Sept 27th from 3-7 pm at our Activity Center behind the church. The address is 26 First Ave, Richlandtown, PA 18955. Call if you have questions on Tuesday between 9-3 pm 215-536-5027.